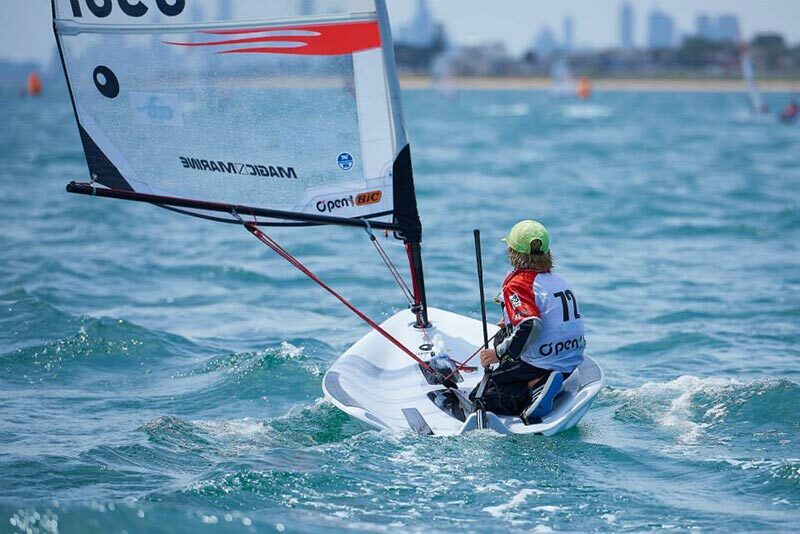 Island teen sailor off to Palamos Regatta. This post was updated on Tuesday, Feb. 13. 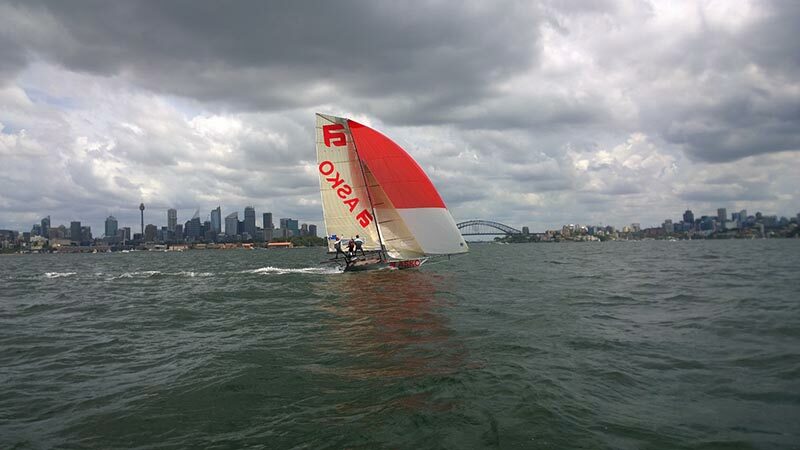 Landon Cormie loved sailing from the get-go. So he got busy when he had to graduate at age 10 from the summer sailing camp at the Vineyard Haven Yacht Club. “He had met some kids at the sailing camp who were competitive sailors, so he looked them up on the internet and talked with them, then asked me if it was OK if he trained with them,” Bernadette Cormie, Landon’s mom, said. Now, it’s not every day that 10-year-olds show that kind of initiative, so Bernadette and her husband Leigh said yes, and the Cormie family began a four-year sailing odyssey. 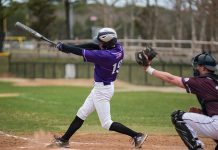 The journey continued last weekend when 14-year-old Landon and his dad boarded a plane bound for Spain to represent the U.S. in the 29th International Palamos Optimist Trophy Championship in Catalonia. 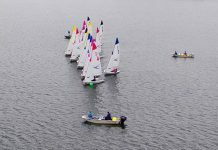 Palamos draws 1,400 kids from 40 countries, mostly to sail seven-and-one-half foot dinghies against each other in the hope of moving up the depth chart to world championship competition and potentially to Olympic sailing competition. 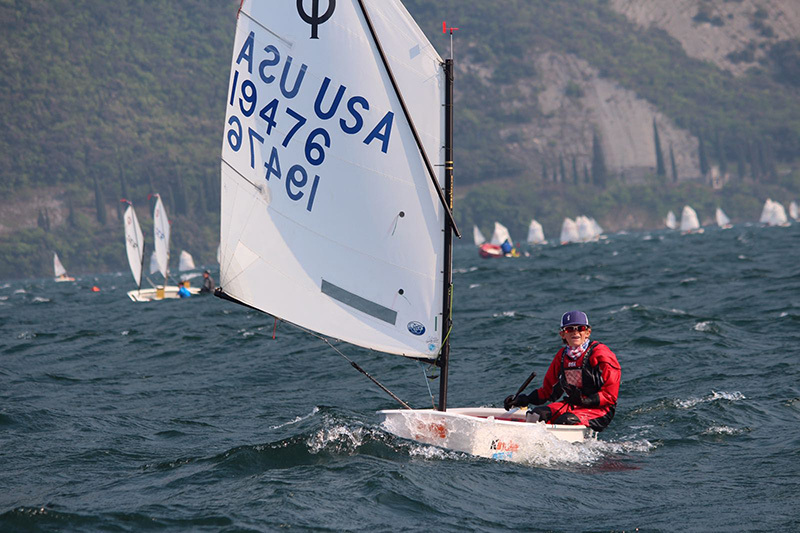 Landon finished in the top 10 of the field in his first try last year when the event was held in Italy and, with other 2017 regatta performances, qualified for the U.S. Palamos team this year as well as a spot on the 38-member U.S. Development Team. Now, the Cormies are not trust-funders; they are workaday people. Leigh is an agent at the Steamship Authority here and Bernadette runs food services at the high school, and there is a fair amount of making-do, putting off vacations and purchases and whatnot. And sometimes, they have to say no, can’t do it. But there’s still a lot to it. 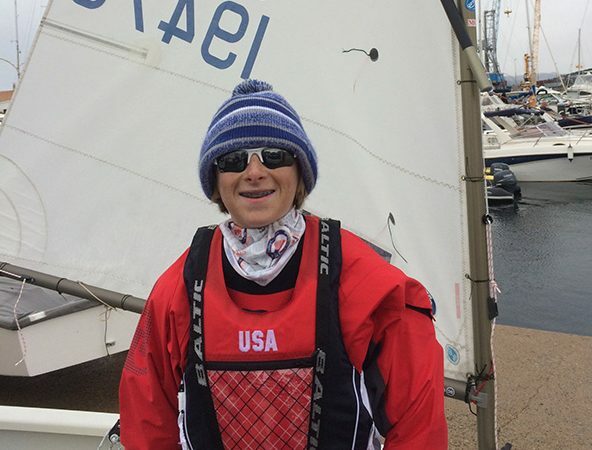 From membership in a Stamford, Conn., sailing group four years ago, Landon’s voyage is now global. He has competed and trained on several continents, including Australia and Europe. His mom had no idea where Landon’s passion would take him and his family. “No, I didn’t have any comprehension for what it could become when he was 10 and wanted to keep going. We want to support him and juggle things to make it happen,” she said. “Both our kids, Landon and his older brother Lachlan, are regular Island kids. The hardest thing for Landon is missing fishing time at the Derby (Martha’s Vineyard Striped Bass & Bluefish Derby). He and Lachlan fish it hard every year. 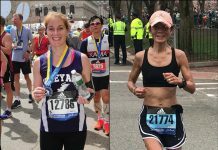 “Everything he’s done over the last six months is in preparation for the U.S. trials in April in Key Biscayne, Florida, where five kids will be selected for world competition, another 10 for the European championships, and 15 more for the Asian championships,” she said. Leigh, a native Australian, is keeping it real and in the moment. He puts aside questions about Landon as a future Olympian. “It’s too early to predict that. There are extremely good kids in the sport. He’s in the top tier and they go back and forth beating each other. (Palamos) is a really big deal. It took him three months of trials to make it,” he said. Genetics may be involved. Leigh was a sailor and rower back home. “Nothing like the level our kids are competing in. Landon has a natural talent for how to sail a boat,” Leigh said. And big brother Lachlan’s passion is crew. 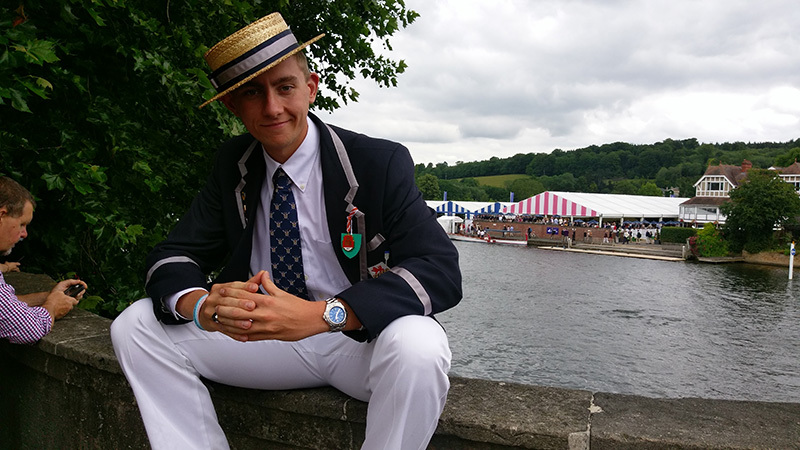 The 18-year-old’s success at Falmouth Academy and Kent School, and now in a post-graduate year at Deerfield Academy, coupled with an invitation to row last year in England’s Henley Regatta, the Super Bowl of crewing, piqued the interest of the University of Pennsylvania. Lachlan was recruited to pull an oar for Penn as part of the freshman class beginning in September.